يقع فندق Adabco Boutique Hotel، المصمم ليناسب كل الضيوف سواء كانوا من رجال الأعمال أو السياح، في مكان ممتاز في أحد أكثر المناطق تفضيلاً في أديليد. يسهل الوصول إلى هذا الفندق ذو 4 نجوم من المطار، فهو يبعد عنه مسافة 8km فقط. يوفر الفندق بفضل موقعة الجيد وصولاً سهلاً إلى أهم معالم المدينة.
. إن حسن الضيافة والخدمات الراقية التي تعرف بها 1834 Hotels تغني تجربتك في Adabco Boutique Hotel. يمكن الاستمتاع بمجموعة من الخدمات على أعلى المستويات في الفندق كمثل واي فاي مجاني في جميع الغرف, خدمة التنظيف يوميًا, مكتب الاستقبال على مدار الساعة, مرافق مخصصة لذوي الاحتياجات الخاصة, تسجيل وصول/خروج سريع. تعكس غرف الفندق البالغ عددها 69 المنتشرة في 3 طوابق جواً من الدفء والألفة.خدمات عصرية مثل تلفزيون بشاشة مسطحة, قهوة فورية مجانية, شاي مجاني, بياضات, مناشف موجودة في بعض الغرف المختارة. يقدم الفندق خدمات رائعة كمثل حديقة لمساعدتك على الاسترخاء بعد نهار طويل من النشاط والتجوال في المدينة. إن كنت تتطلع إلى إقامة مريحة وهادئة في أديليد، فستجد في Adabco Boutique Hotel بيتك الثاني. 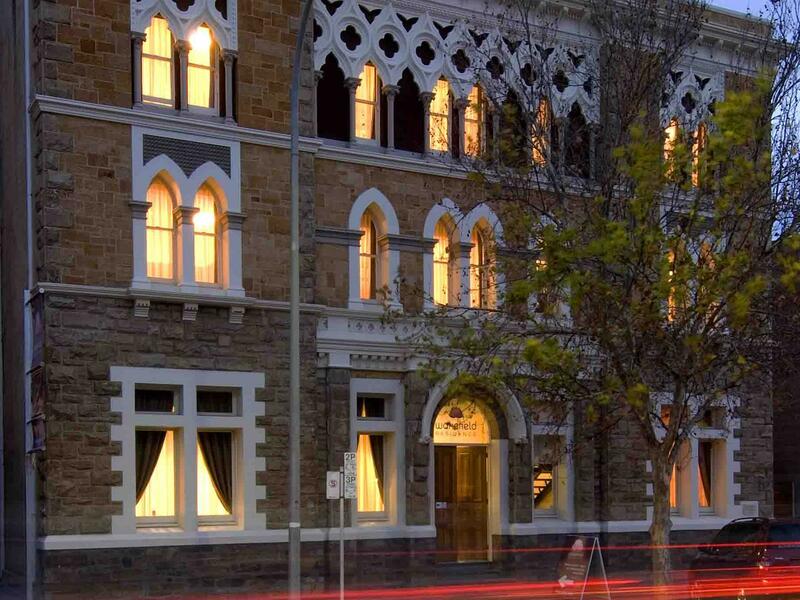 Beautiful heritage hotel that is about a 12 min walk to Victoria Square & Adelaide Central Market. Our room on the third level was big, comfortable & had everything we needed. Staff were friendly & helpful. A communal kitchen was available on the third floor. I have stayed quite a few times. Fantastic location, friendly staff (24/7 reception) and the rooms are large, quiet and the beds are heaven! The only down sides are the parking options - it’s metered outside but only until 6pm week nights. The strong smell of fragrance in the lobby area is overwhelming. Would highly recommend! This place provides twin bed share at a reasonable rate which is hard to find in other business hotels. Their staffs are friendly and always willing to help! Location is close to Chinatown and Coles supermarket! The only thing I would say is a negative aspect about staying in this hotel is the ‘light continental breakfast’. We had the breakfast on the first day but after that we didn’t bother again, the term ‘light’ was an understatement as there is basically nothing to choose from. I had paid for this as part of my deal for the time we stayed at the hotel but I wouldn’t pay for it again. Otherwise everything else about the hotel is great, the staff are friendly and happy to help, the hotel is clean and tidy and it is close to all the main cafe strips and to the CBD so it’s conveniently located. All the benefits Of a good hotel with the added amenities like a kitchen and laundry. Very comfortable bed and good shower. Air con can be noisy in some rooms. Really helpful staff who can offer luggage storage if you need it. The Adabco Boutique Hotel was a home-away-from-home. The room was comfortable and clean, making it a homely place to stay. It is also within walking distance of the main shopping area and yet is very quiet and relaxing. The staff were helpful with any request and were always professional, pleasant and polite. I would recommend this historical hotel for a long-term comfortable stay with the added convenience of being in the heart of Adelaide. 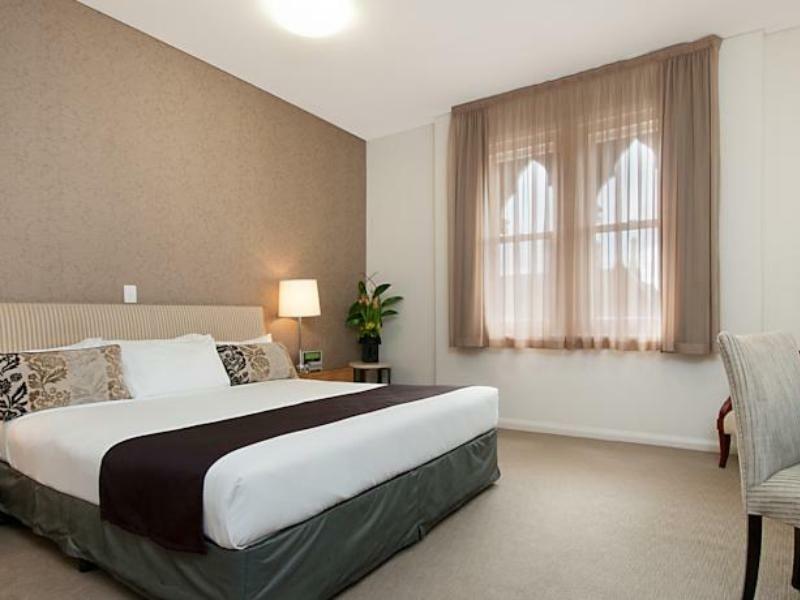 The hotel is located in Adelaide CBD and provides excellent value for money. Liked its old charm, previously converted from a boys home. Room was very comfortable with all the trimmings. Breakfast had a good selection for continental. Free bus at the end of road gets you around Adelaide's main attractions. Nice Italian Italian restaurant, Bogelli, easy 5 minute walk, plus Chinese. We enjoyed our stay and would recommend hotel for its value. IMHO you really get much more than what you paid for. Despite that the hotel is about 15min of walk from city center, it is very close to the bus station where free shuttle is available. I loved the communal kitchen which makes you feel right at home. This is hotel is not so "boutique" at all. Clean and tidy boutique hotel Friendly staff Good location - quick walk to the city centre Communal kitchen available on every level which is handy if you want to cook/don’t feel like eating out. It has a very relaxed vibe and I would stay here again over some of the flashier hotels but it depends what you are after. Exactly how I hoped it would be when I booked. Loved it! The rooms are very large, clean and modern. We liked the location as the center of town (shopping district, market and China town) is in close walking distance. Been to 100s of hotels, didn’t expect much for this price range. Everything exceeded my expectations. As good or better than many other higher priced hotels. So great value and quite nice ! Very comfortable, I liked the kitchen for guests. Not sure about the distance we had to walk to get too public transport. 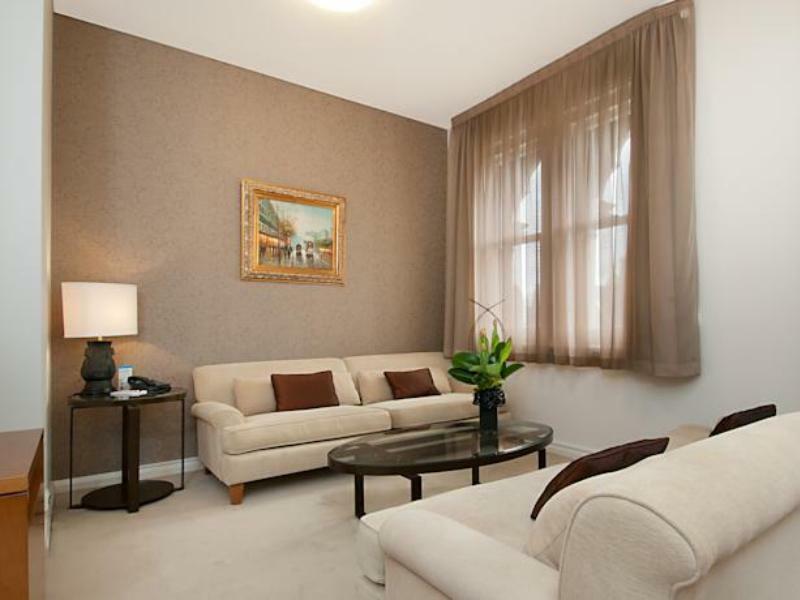 Rooms are exceptionally clean and spacious. Superb. I will definitely come back. This was my second time staying here. The room is clean and the bed very comfortable. The shower has excellent water pressure. My room was next to the lift which meant is was a little noisier than other rooms further down the corridor - but the hotel was surprisingly quiet for the season so room location wasn't a real problem for me. I didn't use the communal kitchen this time although I like having the option. We were very happy with Adabco. The shared kitchen was handy for the night we didn't feel like eating out with IGA conveniently located round the corner. The hotel is a short walk to all the Adelaide attractions and free public transport is close by. We enjoyed the intimate atmosphere of a boutique and would stay again. My first time in Adelaide. All the people in the front office have been kind and helpful. In particular, I met a very friendly Chinese receptionist and she offered me excellent food and travel tips. 5 stars! Lovely place to stay, had a front room but traffic noise was not a problem. Very clean, rooms are spacious and comfortable and loved the soft bed! The only drawback would be parking in the city, free after 6pm but very pricey before 6pm. No complaints!